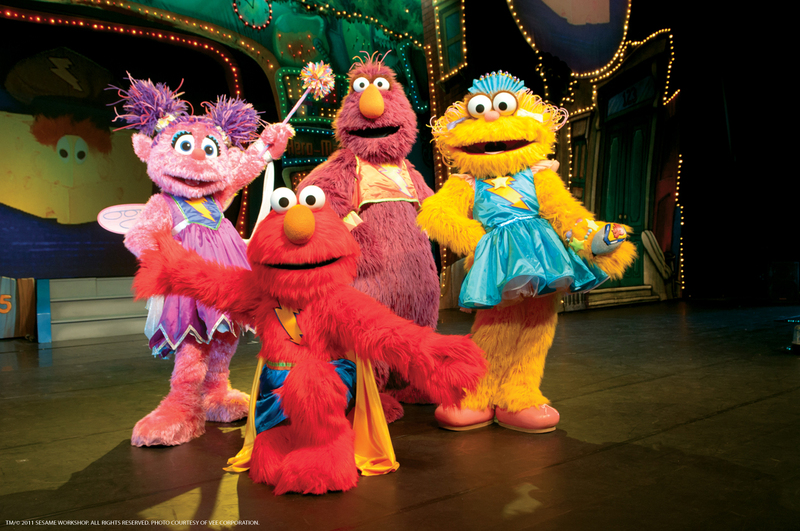 Ever since my girls were small the end of December meant it was time to start thinking about Sesame Street Live. If you haven’t been you need to. The looks on the faces of the little guys when their favorite characters come to life make it worth the trip. With 90 minutes of singing, dancing and audience participation, including a 15-minute intermission. The perfect length for even the youngest children. “Calling all super heroes! Super Grover has lost his super-ness! Never fear, the fabulous five Super Heroes are here — featuring Elmo as Captain Fuzzy! Elmo, Abby Cadabby, Zoe and all their furry friends are on a quest to put the “super” back in Super Grover. Singing and dancing their way through fun lessons on healthy habits, they discover how exercise, rest, nutritious food and good hygiene can save Super Grover — and turn your children into Super Heroes, too! 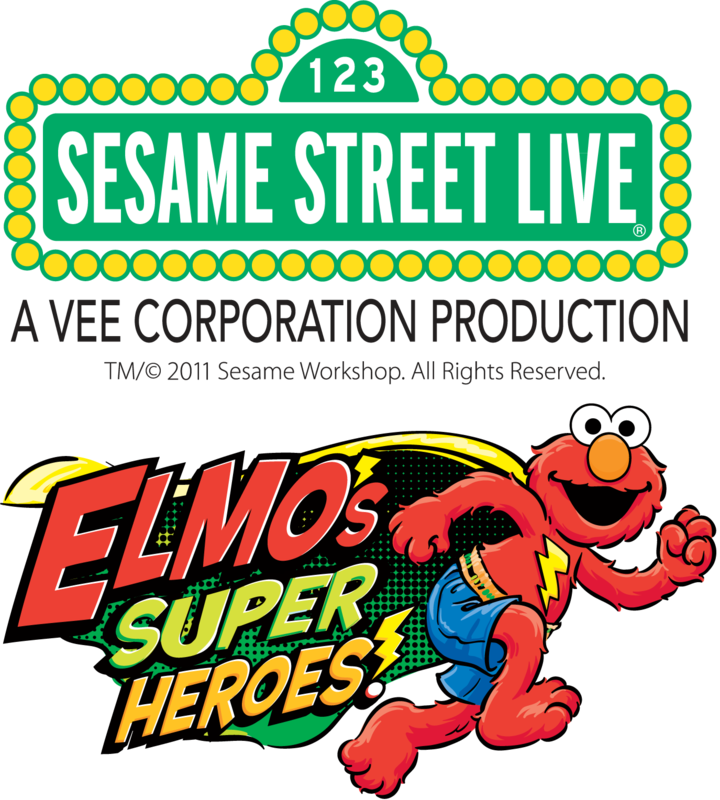 You’ll be feeling good when Elmo’s Super Heroes! comes to town! This year’s local show, in Bangor, Maine, is Elmo’s Super Heros. It will take place January 18th.Tickets are on sale now at the box office and all Ticketmaster locations. To charge by phone, call 800-745-3000. I am sure this will be a huge hit as we love Super Heros. (Discount excludes Gold Circle & Sunny Seats. Not valid on previously purchased tickets. Discount cannot be combined with any other offer. In order to win the family four pack tell me below what your favorite Sesame Character is and why. Make sure you add your email to the comment or I won’t be able to contact you if you win. My three year old daughter, Keyontae, loves Elmo. She thinks hes soft and furry and just so loveable and loves his laugh. She would love this show cause she loves music and would like to dance to the music with Elmo and others. My daughter Molly loves all of the characters in rotation…but right now it is Cookie Monster. With all the Christmas cookies, she has enjoyed pretending to eat them like Cookie Monster!!! My grandbabies would love to go !!! Trey is in love with Elmo!! My grandbaby Trey is in love with Elmo !! Elmo is all he wanted for his birthday that he just had in November !! he carries his elmos around all the time !! When I ask my daughter Janiece who her favorite monster is, she says ELMO because "he makes me HAPPY!" I think she would just flip over seeing him (and Abby Cadaby)in person! I love that this show is still around and providing kids with these life lessons to be kind, to respect others and yourself, and to love learning. Although Elmo is usually the kid favorite, as a grown-up, I will always have a soft spot in my heart for loveable, furry old Grover. Elmo,my son has loved him from day one. He is over 3 yrs (39 months)and the size of a 5 yr old gentleman. Elmo is his true love, Cookie Monster, Big Bird are all great but Elmo, Mr Noodles,Dorothy are it. Still scared of Santa this year only small Elmo doll withdrew a smile and cooperation. My 2.5 year old LOVES Sesame Street and all of the characters. She really likes Super Grover and all of the silly things he does. Our whole family dressed as Sesame Street characters this year for Halloween too. My daughter would be thrilled to see them live! My grandson loves the whole Muppet Gang but Elmo is #1! My nieces favorite is snufalopagous. Not sure the spelling. He is the biggest and he is not ashamed of his size. You know even before all this bullying stuff Sesame Street has been address the issue. Big bird the most popular is friends with everyone. Oscar the one that smells like trash even has friends. No matter how many years it runs for it will alwasy be a great show. My son Zane loves the "Count". He is fascinated with numbers. It is so fun to see him count along and giggle. Makes my day! I love Elmo because he makes makes my daughter laugh. Would love to win! My two year old loves Elmo and you should have sen his face on Halloween when he saw another kid dressed up as Elmo, it was like he couldn't believe his eyes! 🙂 So Cute! My two sons, both adore Elmo! They are 1 and 3, and they both come running into the room if they hear him on tv. When my 1 year old is tired and cranky, I will Google Elmo videos to watch with him, and it settles him right down. We can't swing the cost for tickets right now, so it would be fantastic to win. Either way, thanks so much for offering some lucky family the chance to go! His big sister would love for him to be able to enjoy Sesame Street Live as much as she did when she was younger. My 2 boys looooove Elmo. They are 4 and 2 and would be so excited to see this show.